The RGM-89DEW EWAC Jegan is a variant of the RGM-89D Jegan D Type, modified for reconnaissance operations and fitted with electronic warfare equipment (early warning and control). Following the design features of the MSA-007E EWAC Nero, the EWAC Jegan can detect enemy mobile suits and gather intelligence on them. Then relay this information to the Combat Information Center (CIC) aboard its mothership. 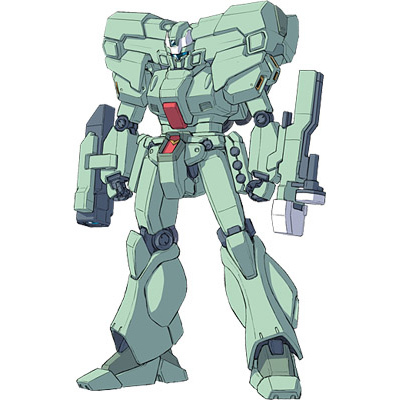 The Jegan's head is replaced with the head of a RGZ-95 ReZEL to enhance its detection capability of enemy mobile suits. It's backpack contains data processing and communications systems. The information it gathers can be relayed in real time via radio and laser signals, or recorded and stored in its backpack for later recovery.